WINNER-2014 Open Table Diners Choice Award. consuming raw or undercooked meat, poultry, seafood, shellfish or eggs may increase your risk of foodborne illness. Ask your server about our delicious Desserts. Fantastic experience as always -- friendly and excellent service, superb cuisine, and wonderful and inviting atmosphere. Highly recommend! Delightful evening. Will visit again! Great service and food! I saw high ratings and expected really good food, but turned out everything was just mediocre, nothing special. I’m a vegetarian so I’m limited and hard to pick. I was either going to pick the eggplant parmigiana or the potato dumpling with mozzarella, the waiter suggested the potato dumplings with mozzarella and tomato sauce, and so I picked that one. I should have went with the eggplant first. My 2 friends’ meals were mediocre too, the rockfish and chicken francese was nothing special. It was such a shame because a more neighborhood friendly Italian place could have been better than that. We also ordered the tomato mozzarella caprese and caeser salad as appetizers and they were nothing special either. I have had tomato mozzarella better at other Italian restaurants. I’m not coming back here for this price. Thank you. We chose this restaurant for its Italian ambiance to celebrate our 47th Wedding anniversary and we were not disappointed! The wait staff was attentive and friendly. The food was sensational. We will definitely return in the future ! Beni..
DaDomenico is always outstanding. Old world charm, excellent food, terrific wait staff, quiet but inviting dining room. We had lunch recently, shared a buffalo mozzarella appetizer, very good. One had pasta with veal ragu, it was tasty and a big portion for lunch. Other diner had eggplant parmigiana, also excellent. We shared a panne cotta which was outstanding. For the money this restaurant is a great value. I had not been back in a few years so was pleased to see the restaurant is basically the same in terms of ambience and overall cleanliness. I had a business lunch and although the dining room had few customers at noon, it was half filled by 12:30 pm. The acoustics are good so you could have a quiet conversation and not be overwhelmed by the noise from the kitchen and other tables which made it very relaxing. I had the ravioli Genovese which was delicious and a substantial portion size for lunch. My colleague had the lasagna and it was also a good size portion. Lunch came with a small salad and bread. Just the right amount of food. The wait for the entrée was a little long but the food appeared fresh. The servers were attentive and watchful but didn't interrupt our conversation which I appreciate it. Da Domenico always impresses. The food is great and the service is beyond amazing-always friendly and attentive. Food was delicious. Best gnocchi my wife has ever had. The veal chop never disappoints. Service was perfect. My wife asks a lot of questions, and the waiter was patient and made excellent suggestions. The cannoli reminded me of what I used to get in New York, absolutely delicious. Excellent service, extensive menu and very good food. Salad, appetizer, and main courses were outstanding. Dessert was mediocre. Will definitely return. First time here. My husband and I were pleasantly surprised by the food which I must say was phenomenal. The service was top notch. The decor was traditional. We will be back. A place with a lot of history and a great hearty Italian meal combined. Nice to know this place is been around since 1981. The chicken Parm was five stars. We went on Valentines day and wanted to try something different. The menu on the site was replaced with a Valentines Day menu. Some of the items that we were hoping to try on the regular menu were not available. 95% of the items were seafood. The prices were also jacked up for Valentines Day. The portions were small for the prices and drink prices were very high. A small piece of cake for desert was $10. The wait staff was slow and they did not have a bar tended. The wait staff had to prepare and serve their own drinks. For an Italian place it sure didn't have an Italian theme. Based on the bright lighting and the doctors office music playing it was more of a cross between my dentist office and my office at work. Overall we were not satisfied with this restaurant and will not return. Overall the place was very dated and could use a makeover. Ceiling tiles were mismatched and many were water stained. Not exactly what I want to see in a so called fine dining restaurant. The food was excellent, very fresh and tasteful. The staff were all very friendly and well-versed in service. The belinnis were delicious as well. So consistent. Been coming here for 20 years. The staff are just lovely. The food is good. Nice evening! The branzino was phenomenal! No surprise always fantastic food and service! Was disappointed with the food and service after having read so many positive reviews. We went on a Friday night which I would have expected to make the venue more crowded but there were only 5 other tables occupied the entire time we were there. You can tell the building is older but wasn't going to hold that against the restaurant. For a first impression the glasses were dirty and had food stuck on them. When the waiter went through the specials of the night he mentioned what was served with two of the entree selections but did not mention anything with the lamb or sole. When I asked about what would accompany those two entrees he looked at me blankly and said that was all that would be served with the dish. When I heard a different waiter describe the food he added how the dishes were prepared and the accompaniments. We received complimentary focaccia bread with our meal that was burned and very dry and hard. Thankfully about 20 minutes later they brought out some warm ciabatta that was edible. The mozzarella that we ordered as an appetizer was the highlight as the marinara sauce was delicious. Our entrees were okay but not as hot as I would have liked as by the time I finished eating the lobster ravioli was cold and the sauce was clumping. By this point we did not feel like spending money on dessert and left early. Very good food. This restaurant is a good restaurant. Surprised that it's not busier. They used to be very busy and had a guy that would sing on weekends which was most enjoyable. 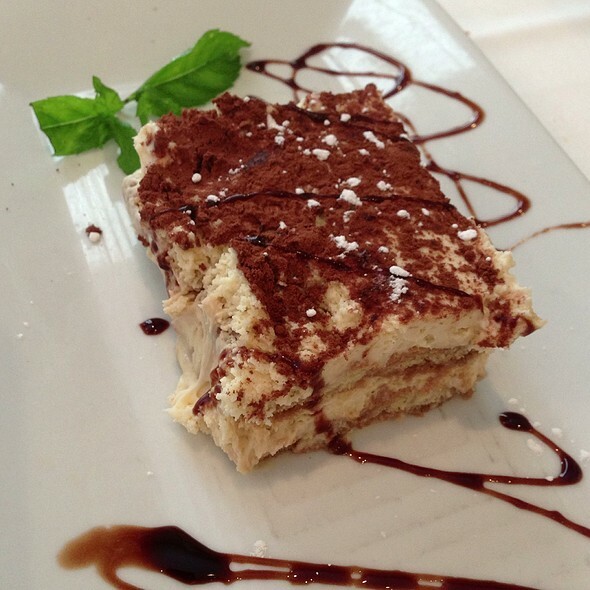 A friend was looking for a good Italian place to take her boyfriend for his birthday so we recommended DaDomenico. She wanted to try it first so we came her for lunch and it was excellent. She is now taking her boyfriend for his birthday and the waiter told her to make reservations and he would make sure she got a romantic private booth. Food was awesome as usual. Even at the most expensive restaurants, octopus in the US tends to be on the tougher side. The octopus appetizer here rivaled the freshest octopus I have had in southern Europe. The Seafood Cleopatra is a tremendous value. The space looks the same as it did the last time I ate there 30 years ago. Could use a freshening up of the decor, but would go back in a minute for the food. Delicious, authentic Italian food. Among the best in the area. Outstanding wine list. I was told this restaurant has been for years. In this day and age that kind of staying power exists when the product is worth it. And it is! Don’t go for the decor - go for the food and service!! Top notch! Wait staff were attentive but not obtrusive. I’ve travelled extensively throughout Europe and have eaten at many Italian restaurants. This one could compete with any. The only criticism I would have is the initial bread plate - solid, but not Italian bakery bread. We’ll be back. Our experience was absolutely perfect for date, it was a smooth and quite feel and our waiter Vito was quick and efficient and always tended to our needs with a smile. Will definitely return for more. Took our out of twin guests out to dinner and the food was good but not very hot. Also, we had to ask for drink refills and in general, the service was good but not great. Will go back again...hoping it was just an off evening. Delicious and authentic Italian cuisine that doesn’t make you feel bloated! Maybe the best Italian food in the area. We started with their grilled octopus appetizer. It was wonderfully marinated, tender and tasty, as good as any we have had. I had lentil soup, which was also excellent. Soup is an afterthought at some places, but this soup was perfectly seasoned and the vegetables and potato that accompanied the lentils were just right. We both had seafood entrees. 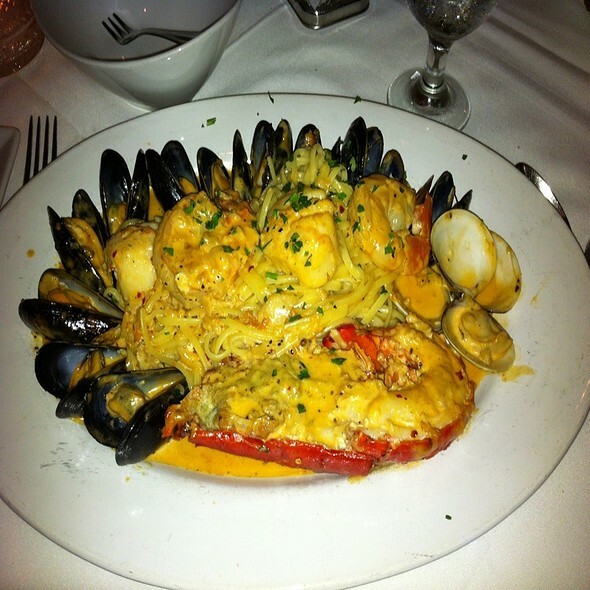 I had the fra diavolo, with a lobster tail, a ring of delicious, fresh mussels that ringed the bowl, and both scallops and shrimp in a tasty but not too spicy fra diavolo red sauce over a bed of linguine. The sauce was great, ensuring that I finished all the linguine. My wife had the same seafood in what they call a "cleopatra" sauce, a cream sauce she loves that they make. It wasn't on the menu but they made it for her. Service is always great, and was this night too. We often stop here after visiting tyson's corner mall or galleria. It's a very short drive from there. We're never disappointed when we do! We have lived in McLean for 20 years and cannot explain how we missed this restaurant. The food is exceptional. We had two veal and one pasta dish. Everything was prepared perfectly. Very authentic Italian. The service was attentive and friendly. Use your GPS, the building is a bit off the main road. Definitely the best Italian food in the Tyson's area. Selective menu with great food. My table had a good sampling and all were pleased. We had forgotten about this little gem. Went for an early New Year's Eve dinner. They were promoting a special menu. Everything was delicious in a cozy atmosphere. Service was great. We will be heading back to try other items on the regular menu. Da Domenico is always good. The service is always attentive and helpful. The food is classic Italian. From pasta to steak and fish, it always good and better than you would get at any other so called Italian restaurants. The decor ranges from semi-formal to casual. 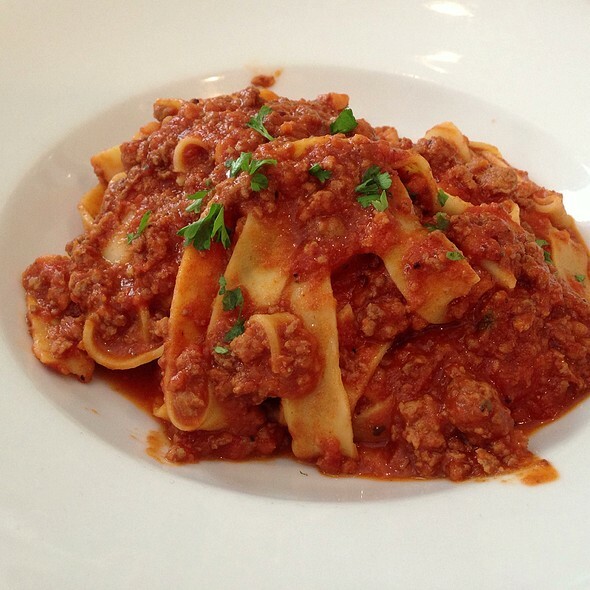 So just stop in when you're hungry for great Italian and you will be pleased. The food to die. The service exceptional and a Gem to anyone! Authentic Italian food. Great service and a good value. The staff is wonderful. The good is always extraordinary. The atmosphere is great. Highly recommend this restaurant. The waiter was laudably professional -- knowledgeable, attentive, helpful, courteous. Menu has ample choices but not overwhelming. My veal (scallopini) marsala was tender and delicious. My guest enjoyed his seafood pasta. Wine list is fine and reasonably priced. The only down side -- not the fault of the restaurant -- is that owing to ongoing construction in the surrounding area, one either needs to be a local or to use a GPS app to navigate successfully to the place.